This post has been a long time coming, and writing it has weighed heavily on my mind and my heart for weeks. So, here goes nothing. I was once a runner. I started small – 30 seconds at a time, eagerly watching the time tick by on the kitchen timer I carried in my hand, waiting for the signal that I could walk instead of run. I graduated to 5Ks, half marathons and two adventures through 26.2 miles. I added swimming and biking and completed triathlons too. I ran in 90 degree heat, sub-zero snow drifts, the dark of 4am and the quiet of midnight. I ran in beautiful places with beautiful people that I loved deeply. Running freed me – it lifted depression from my mind, taught me to find myself limitless and unafraid. Running was my gateway drug – it convinced me I could be fit, I could be well, I could carve out the me that was hiding under layers of shame, fear and guilt and become the person I always wanted to be. 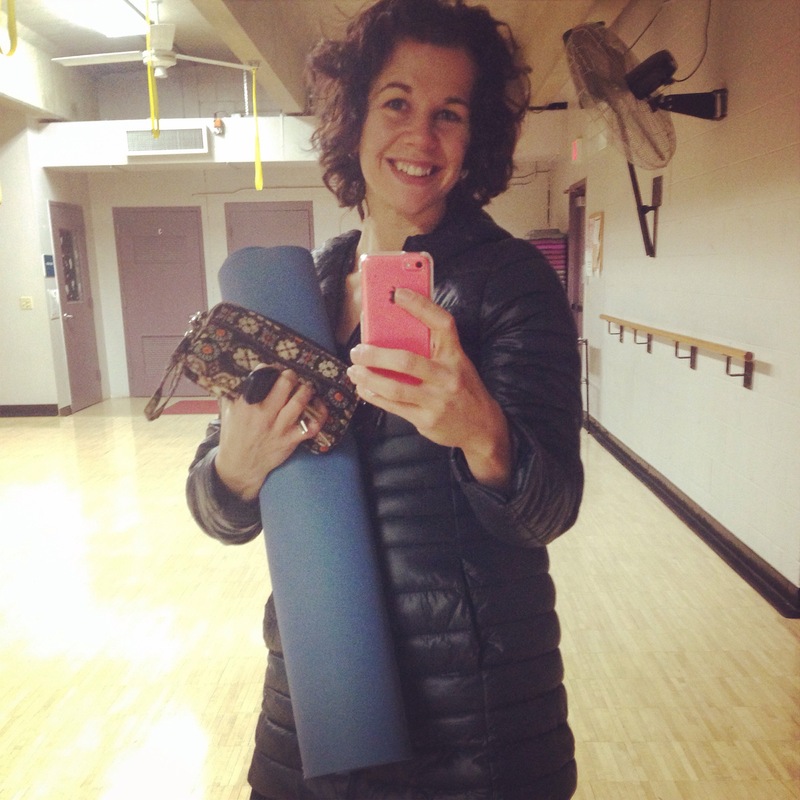 Running brought me to yoga, to weightlifting, to a crazy 5:15am kettlebell class that I love. Running gave me a tribe – a family of like-minded people and friends that would meet me in a parking lot at 6am on a Saturday morning, headlamps glowing and water bottles full, ready to tackle the miles that lay ahead. Except, running also gave me pain. There was the normal discomfort as my endurance grew. There was the normal muscle ache after a tough workout. There was the searing, central nervous system blow out of sitting in bath tubs full of ice. There was the fire in my lungs when I went fast. But then there was real, honest to God pain. My right IT band is a portion of my body that I learned to hate. It ached perpetually, sometimes keeping me awake at night. It hurt when I bent, when I sat, when I tried to lay in the bath tub and soak away its tightness. No matter the work I did, no matter the stretching, the scholarly articles, the therapy, no matter what, that angry, irritated ligament would not give up the ghost. To be honest (and this is a REALLY difficult list to type out), I have had three full rounds of prescriptive physical therapy, one full round of prescriptive chiropractic care, six weeks in a walking boot, four rounds of prescriptive steroid treatment, Graston technique therapy torture, and countless changes to my footwear, foam rolling techniques and orthotic devices, all to no avail. It still hurts me to run. Let me write that again – it hurts me to run. How, how, how am I still here? I’ll tell you – pride. Ugly, awful, foolish pride. My sense of self is too closely tied to the fact that I am a marathoner. So, this winter, when I began to lay out my racing plans for the spring, I ambitiously thought I’d go back to the marathon distance. Then I lowered my expectations to the half marathon distance. And now, after trying to run for the first two weeks of my training plan, I can assure you that a half marathon is not going to happen. No matter the pace, no matter the venue, I run and my IT band flares again. I have shoes I love, shoes that make my feet happy, that I am finally certain have nothing to do with my injury. And that’s the problem – my personality is such that I have always been eager to blame the mechanics of my shoe and not the actual composition of my body for the pain. This is the body that I have been given. Genetics, pregnancies, weight gain and weight loss – they have all taken their toll, but this is what I have to work with. I can either nurture it with good food, yoga and rest or I can continue to drive myself in to the ground trying to keep my pride afloat by running in pain. So, if I were a school teacher and running was my casual weekend/evening hobby then all of this might be OK. But, I’m not that girl anymore. I’m a yoga instructor and a lifestyle coach. I spend my days planning and teaching classes that are meant to draw people out of their busy minds and in to the peace and calm that can come from connecting to the body, the mind and the breath. I borrow and say phrases like: “Listen to your body,” “Honor where you are today,” “Be a student of your body,” “Do not push to pain.” I tell people that their first and foremost work in life has to be self-care. I coach clients with pre-diabetes to begin to closely examine what they are eating, to move their bodies in an effort to, quite literally, save their own lives. When students tell me they are recovering from an injury I warn them to tune in, to become deeply aware of any warning sign that they are crossing the line from stretching to pain. And then I run 7 miles and wince in pain every time I bend my knee for a week. I’m not walking the walk. The reality of this new career and this new life is that my body is part of my business. If I can’t practice yoga without pain, then I certainly can’t teach it without pain. And I’m not ever going to be the kind of teacher that sits on the floor for the hour and just calls out cues. When I teach restorative classes, I need to be able to bend down to the ground and help prop my students so they can find rest. I can’t be there, be fully present for my students if I am struggling with chronic pain. What does the future hold? Don’t we all wonder at that question? My inquiry will go on and on – will I run again? Can I race again? Is there a distance that will be OK? I don’t know. And I have to be at peace with not knowing. I’m still in love with my kettlebell classes, my yoga practice remains strong, my kayak will be back in the water soon enough. I planned to run a 10K with Hannah this May. I hope to be back at the Fairport Harbor Triathlon for the fourth year in a row. But I don’t know if these races will be possible. So, I have to come back to the idea that I’m doing one thing with all of my heart (and behind) right now. And, from now on, running will not be that thing. May you be in a place today where you love, honor and nourish your body and yourself.